The body recovered from the wreckage of the plane that crashed at sea carrying Emiliano Sala has been formally identified as the Argentine footballer, British officials said this evening. 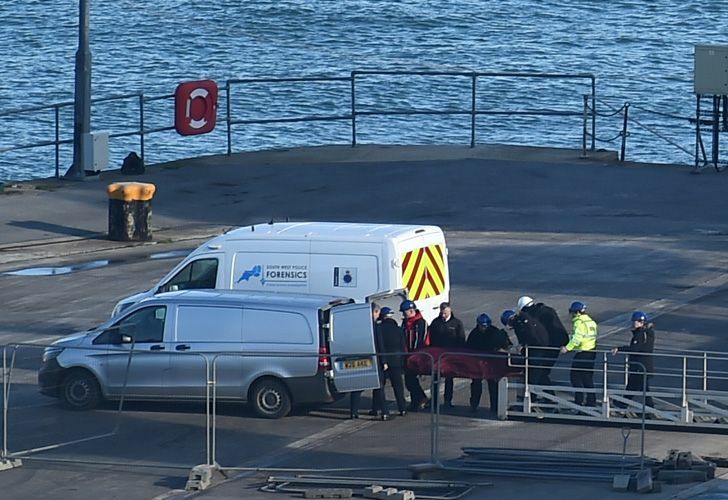 "Update: The body brought to Portland Port today has been formally identified by HM Coroner for Dorset as that of professional footballer Emiliano Sala. The families of Mr Sala and pilot David Ibbotson have been updated. Our thoughts remain with them all," Dorset Police posted on Twitter. Authorities had earlier on Thursday recovered the body from the seabed wreckage of the private plane that crashed on January 21 while carrying Sala and his pilot David Ibbotson. They were the only people onboard the small aircraft that disappeared over the English Channel last month. Sala's body was first spotted by rescuers with a remotely operated vehicle (ROV) on Sunday close to where the plane went missing near the British island of Guernsey. The Air Accident Investigation Branch said the body was recovered in "challenging conditions" with the "operation was carried out in as dignified a way as possible and the families were kept informed of progress." Investigators have not been able to recover the aircraft which was flying from Nantes to Cardiff after Sala transferred from the French city's team. AAIB said that bad weather in the busy shipping thoroughfare meant it was unable to recover the plane and as a result was closing down the operation. However, the AAIB said that video from a remote underwater vehicle "is expected to provide valuable evidence for our safety investigation." President Mauricio Macri, reacting to the news, posted on Twitter just minutes after the news became publicly known. "What painful news. My condolences to Emiliano Sala's family, friends and colleagues at this very hard time. We're with you," he wrote. Sala had been flying in to join up with his new club in what was the most expensive signing in the Welsh club's history. His disappearance prompted an outpouring of grief across the footballing world, including at his former club Nantes in France where the plane was flying from. After search operations were suspended in the days after the plane went missing, a shipwreck hunter hired by Sala's family, with funds donated by football stars such as Lionel Messi, found the wreckage on Sunday.